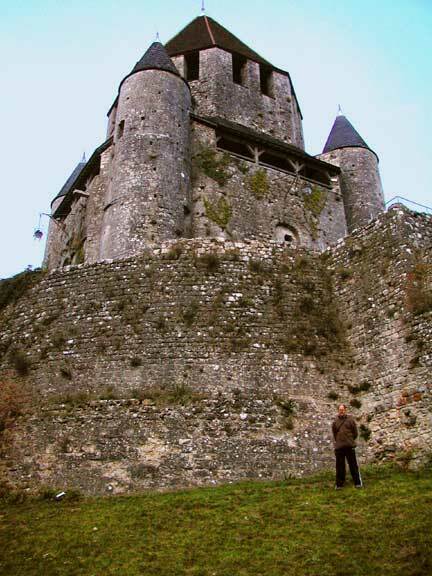 That's Mike in front of a landmark in the center of Provins, Tour Cesar. It sits high atop a hill, visible for miles.The site dates back to the twelfth century. A prison at one time, it now houses the bells of Saint Quiriace.